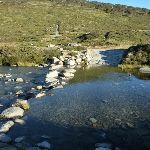 Veer right: From between the two creeks, this walk heads north along the wide track to cross Club Lake Creek using the stepping stones. 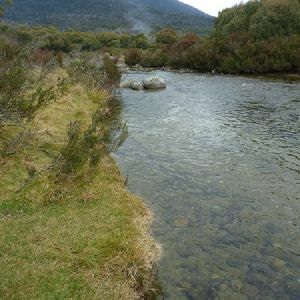 (The creek may not be safe to cross when water covers the stepping stones). 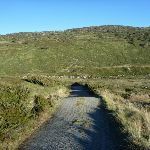 The walk then follows the wide, paved track fairly steeply up the hill. 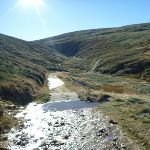 After a short time, the track becomes gravel and continues up the hill for about 400m further before passing a ‘Mountains of Soil’ information sign, where the track soon becomes less steep. 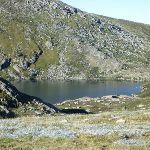 After about 1.5km, the track passes a ‘Created by glaciers’ information sign and reveals some views down to Hedley Tarn (on your right). 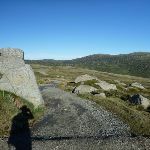 The track continues up the hill and between the granite boulders to then head down the other side of the ridge. 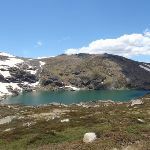 The walk leads down to rock-hop across Carruthers Creek, then follows the wide, paved path up the hill, passing the ‘Remnants of an ancient sea’ information sign and coming to a paved area, with a view to Blue Lake and some information signs marking a three-way intersection. 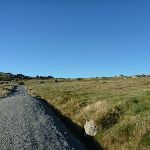 Turn right: From the paved area, this walk follows the dirt track next to the stone seat, heading east towards Blue Lake. 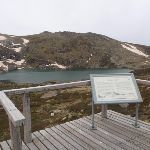 The rocky track winds down and around the northern side of the ridge to a platform with an information sign and a fantastic view of Blue Lake. 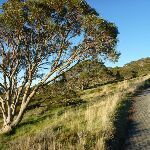 This whole walk, 4.7km has short steep hills. 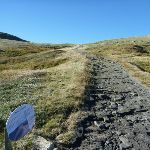 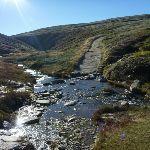 Around 4km of this walk follows a clear and well formed track or trail, whilst the remaining 640m follows a formed track, with some branches and other obstacles. 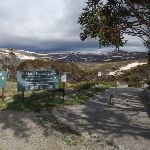 This whole walk, 4.7km is clearly signposted. 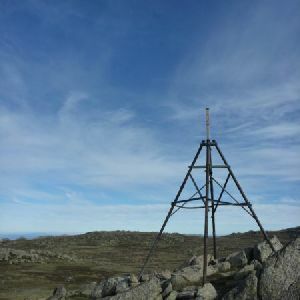 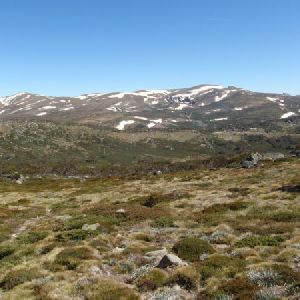 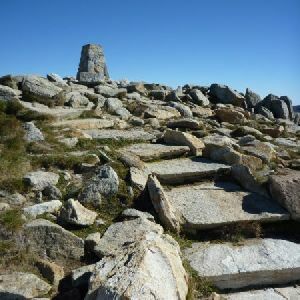 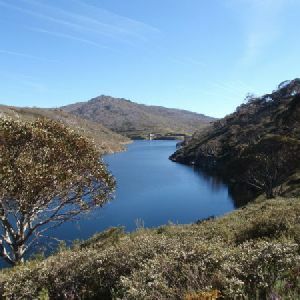 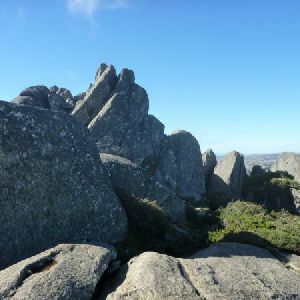 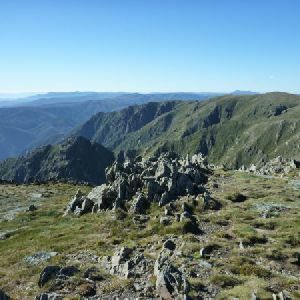 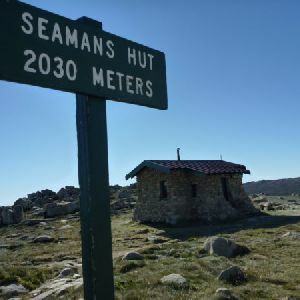 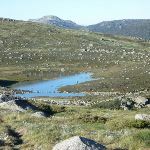 Around 4km of this walk requires a leader a with moderate level of bushwalking experience, whilst the remaining 640m requires some bushwalking experience. 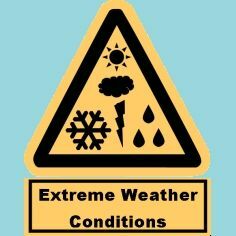 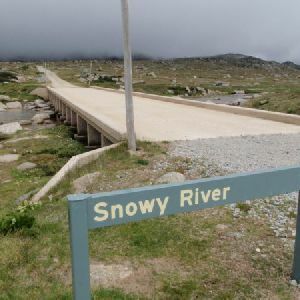 This whole walk, 4.7km is affected by forecast, unforecast storms and severe weather events that may impact on navigation and safety. 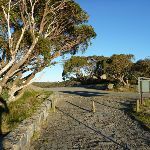 Around 3.9km of this walk has limited facilities (such as not all cliffs fenced), whilst the remaining 790m has limited facilities (such as cliffs not fenced, significant creeks not bridged). 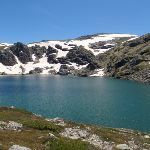 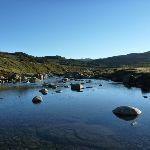 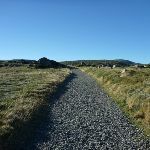 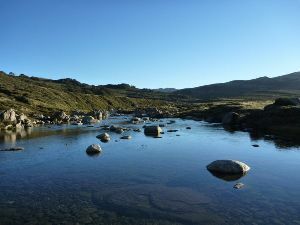 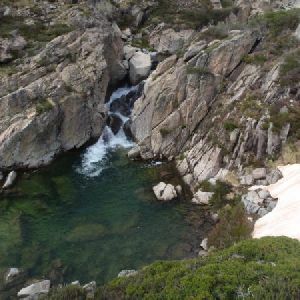 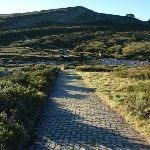 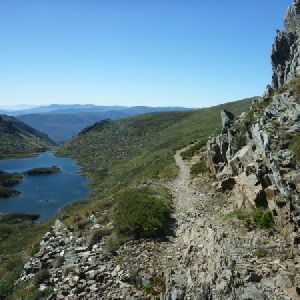 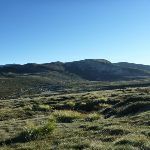 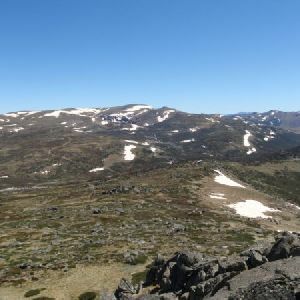 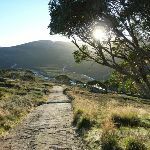 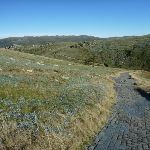 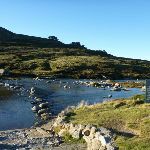 A list of walks that share part of the track with the Main Range Track – Charlotte Pass to Blue Lake walk. 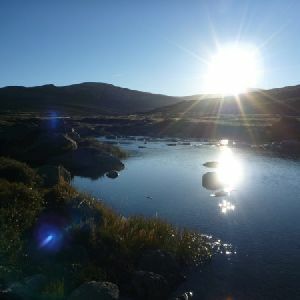 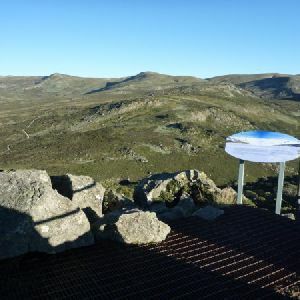 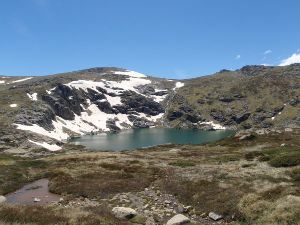 A list of walks that start near the Main Range Track – Charlotte Pass to Blue Lake walk. 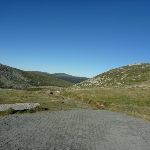 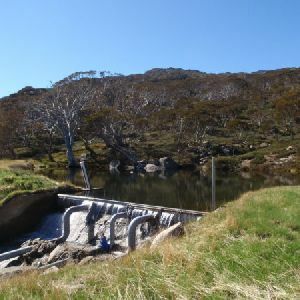 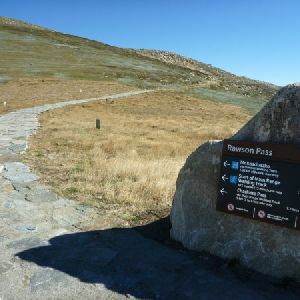 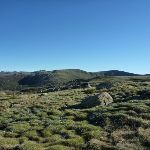 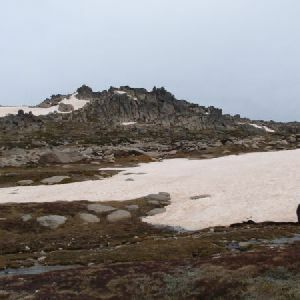 http://new.wildwalks.com/wildwalks_custom/includes/walk_fire_danger.php?walkid=nsw-kosciunp-cptblr Each park may have its own fire ban, this rating is only valid for today and is based on information from the RFS Please check the RFS Website for more information.